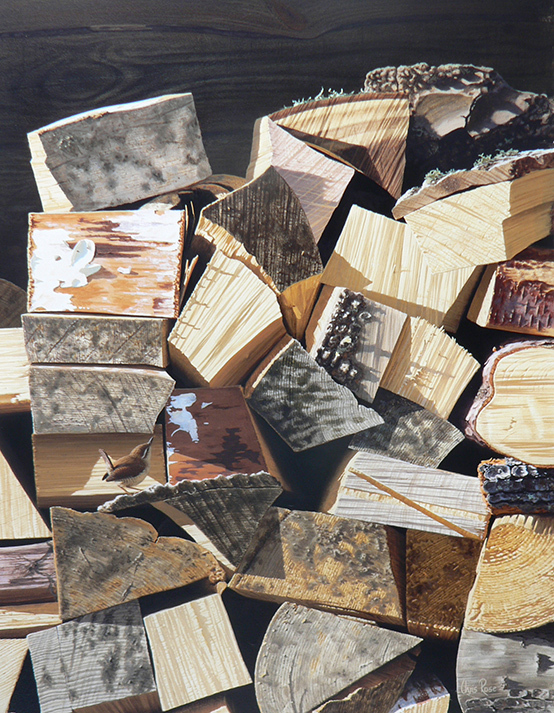 The wood stack at my neighbour’s back door was the unexpected inspiration for this painting. 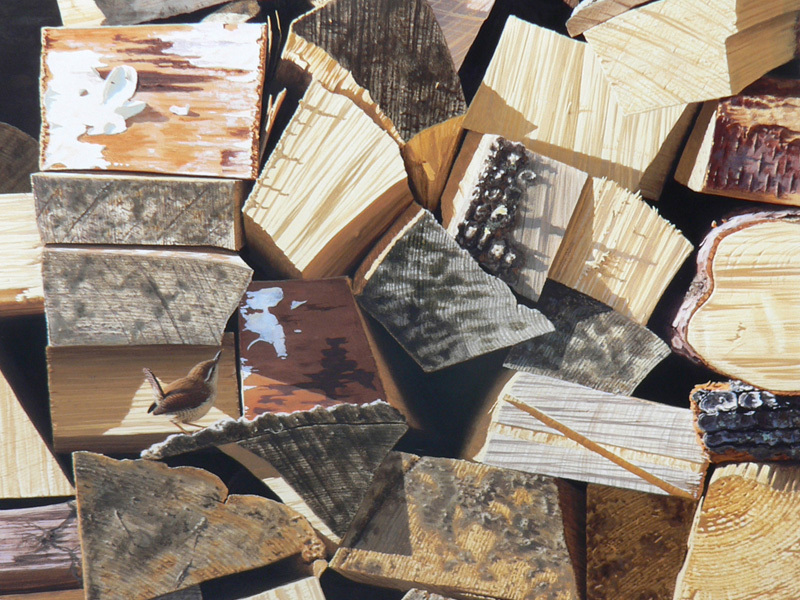 I was attracted to the jumble of abstract shapes and to the varied textures of the logs, which were thrown into relief by the sunlight glancing obliquely across their cut surfaces. Each log told its own story in the patina of its surface: the marks of the chainsaw showing in which direction it was cut; growth rings in the end-grains; the cleaved surface of a clean split from the axe’s blade. A wren busied itself in the nooks and crannies as I sketched, searching out spiders and dormant grubs in the winter sunshine.